The restart option allows users to restart eclipse. To restart eclipse, click on the File menu and select the Restart menu item. After a plug-in is installed, users will be prompted to restart eclipse. If they choose not to restart at that point they can restart eclipse later by using the restart option. 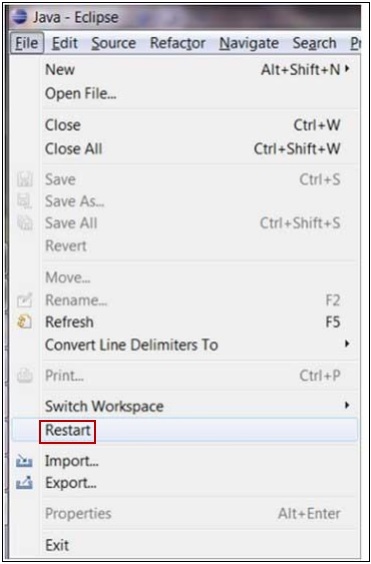 If eclipse user interface misbehaves, users may want to restart eclipse using this option.